Bell was born in East Shefford, Berkshire, in 1881, the third of four children of William Heward Bell (1849–1927) and Hannah Taylor Cory (1850–1942). He had an elder brother (Cory), an elder sister (Lorna, Mrs Acton), and a younger sister (Dorothy, Mrs Hony). His father was a civil engineer who built his fortune in the family coal mines in Wiltshire in England and Merthyr Tydfil in Wales - "a family which drew its wealth from Welsh mines and expended it on the destruction of wild animals". They lived at Cleve House in Seend, near Devizes, Wiltshire, which was adorned with Squire Bell's many hunting trophies. By World War I their marriage was over. Vanessa had begun a lifelong relationship with Duncan Grant and Clive had a number of liaisons with other women such as Mary Hutchinson. However, Clive and Vanessa never officially separated or divorced. Not only did they keep visiting each other regularly, they also sometimes spent holidays together and paid "family" visits to Clive's parents. Clive lived in London but often spent long stretches of time at the idyllic farmhouse of Charleston, where Vanessa lived with Duncan and her three children by Clive and Duncan. He fully supported her wish to have a child by Duncan and allowed this daughter, Angelica, to bear his surname. Clive and Vanessa had two sons (Julian and Quentin), who both became writers. Julian joined the Republican side in the Spanish Civil War as an ambulance driver. He was killed in 1937 by an enemy shell, aged 29. Vanessa's daughter by Duncan, Angelica Garnett (née Bell), was raised as Clive's daughter until she married. She was informed, by her mother Vanessa, just prior to her marriage and shortly after her brother Julian's death, that in fact Duncan Grant was her biological father. 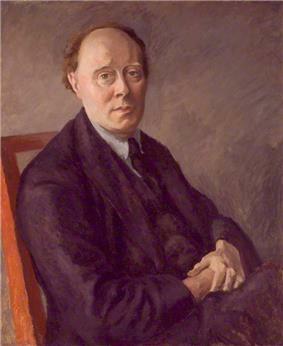 Bell was at one point an adherent of absolute pacifism, and during the First World War was a conscientious objector, allowed to perform Work of National Importance by assisting on the farm of Philip Morrell. MP, at Garsington Manor. In his 1938 pamphlet War Mongers, he opposed any attempt by Britain to use military force, arguing "the worst tyranny is better than the best war". However, by 1940 Bell was a supporter of the British war effort, calling for a "ceaseless war against Hitler". ^ Lee, Hermione Virginia Woolf, London: Vintage 1997 p. 698. This deception forms the central message of her memoir, Deceived with Kindness (1984).